Being the latest and most recommended medium of advertising, Social media marketing has been the latest buzzword in the marketing industry. The business tends to grow with every click, like, share and signup. Social media marketing can really work wonders for any business. You just can’t deny the fact that well planned marketing strategies play an important role in helping your business to get to the top of the success ladder. Moreover, having a social media presence with a proper strategy can definitely prove out to be highly beneficial for your business in the long run. Be it Facebook, YouTube, Instagram, Twitter, Snapchat, LinkedIn or any other social media marketing platform, your business can be benefited from all of them. Well, talking about YouTube, it is much wider and has diverse audience. It has around 1,300,000 active users and the site gets over 30 million views every single day. Pretty huge numbers! Isn’t it? Adding to this, YouTube is an expansive platform and it can be accessed in 76 different languages, covering about 95% of the world’s population. Well, that’s why YouTube is considered to be one of the best marketing mediums. Around 1% of YouTube’s audience is of the age 18-24 years. Around 23% of YouTube’s audience is of the age 25-34 years. Around 26% of YouTube’s audience is of the age 35-44 years. Around 16% of YouTube’s audience is of the age 45-54 years. Around 8% of YouTube’s audience is of the age 50-64 years. Around 3% of YouTube’s audience is of the age 65+. Around 14% of YouTube’s audience age is undetermined. This online pubic communication site allows users to upload and have their videos available for others to view. You can post and watch almost everything on YouTube. YouTube marketing for businesses and brands is an outlet which can take your business to heights of extreme success. Moreover, if you are looking forward to promote your videos, then YouTube can turn out to be the right choice. YouTube is the second most visited website on the entire Internet with over a billion users and virtually no competitors.YouTube has a complete flood of customer attention and that’s why companies are putting so much efforts into video marketing. But the best part is that you don’t need to flood enough money for your YouTube marketing. If you create a good channel that constantly keeps uploading great content, then you’ll definitely get all the attention and eye-balls you deserve. But are you worried about maintaining it? Well, then you don’t need to worry anymore. Social Cubicle is here to help you stay updated and maintain your YouTube channel in the best possible way. Want to know more about setting up a YouTube channel? Well, then just keep on reading! The first step includes signing up for your YouTube account. You can continue by customizing your YouTube profile. You can also interact with others on YouTube. You need to verify your channel in order to keep going. You can also join YouTube Live. Check out all the trending videos on YouTube. Start the advertising sessions on YouTube. You can also go for YouTube partner program. Study latest YouTube tips and tricks for making your channel stand out of the crowd. Are you still not clear with the advantages and benefits of YouTube marketing? Well, then just go through the complete guide. Creating a new business account on YouTube can turn out to be highly beneficial for letting your business reach a wide audience. It’s something really important, so ensure to focus on reaching wide audience and creating a huge following list. This way, your business can reach end users where people can reach and connect with you easily. This can definitely prove out to be highly beneficial for your business in the near future. Having a social media account on YouTube can definitely help in boosting your brand awareness to the next level. YouTube can prove out to be a powerful tool in helping your business grow in the best possible way. You can post videos promoting your brand and products which in turn can work wonders for your business. With the help of YouTube marketing, you can get to establish real relationships with the people around you. 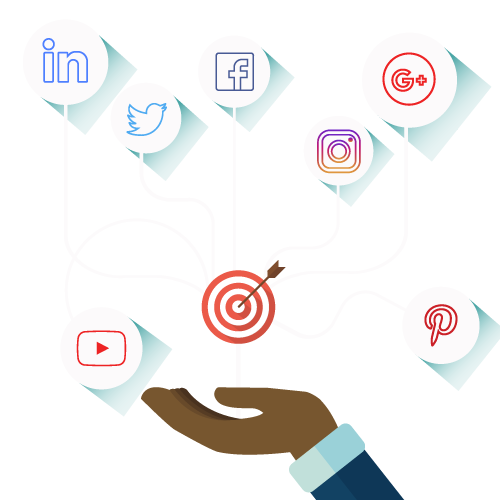 You can also use these social media marketing channels to develop a strong connection between the service provider and customer. Well, that’s something we can help you with. The return on investment in case of YouTube marketing is higher than any other option. You can simply use social media as a part of your marketing strategy and get huge benefits from it. 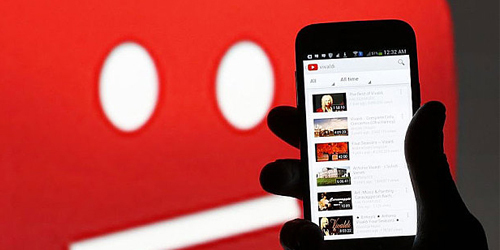 YouTube marketing can definitely generate huge traffic and good returns on your investments. Individuals should definitely consider having an account on YouTube for marketing their brand and services. YouTube marketing is probably the most cost-effective one. Moreover, considering almost all social media platforms, signing up and creating a profile is completely free. So, take a step ahead, get a profile created and make sure to get the most out of it. But being discovered and growing your audience isn’t easy. Getting fame on YouTube isn’t a matter of few hours or days. It’s something that demands a lot of time, research and efforts. You need to be dedicated for your YouTube channel in order to stand out of the crowd. Well, that’s what Social Cubicle is here to offer you with!